Aircraft Engine & Accessory Company, Inc. Whether you want to find out more about why the best aircraft engine overhaul experts choose AEA, or if you'd like to check on the progress of your parts, we'd like to hear from you. Give us a call or send us an email. 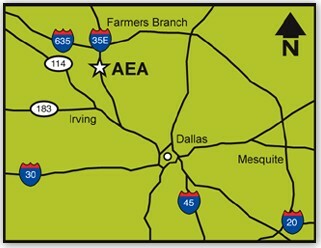 Aircraft Engine and Accessory Company, Inc.
Click here for a map to AEA! Copyright � 2019 - 2021 Aircraft Engine and Accessory Company, Inc. All rights reserved.